The POSGuys.com Mobile POS System has reached end of life. It has been replaced by the . 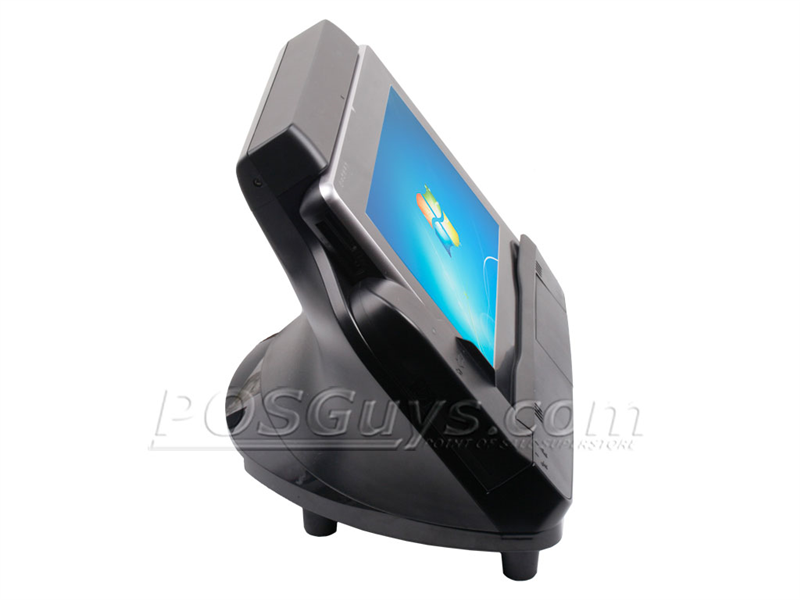 The POSGuys.com Mobile POS System empowers you to ring up customers wherever you like. 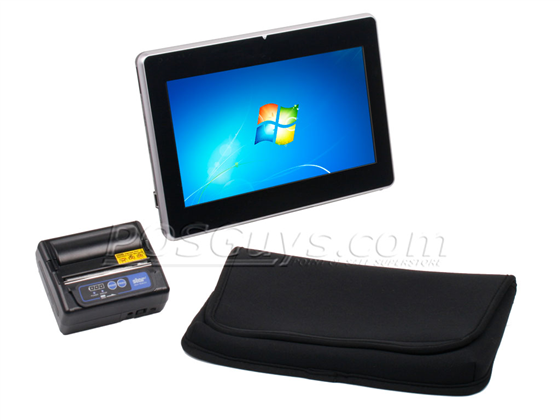 We have paired the PartnerTech EM-220 tablet PC with Star's SM-S300 mobile printer and Proxis Store Manager software to give you an easy-to-use, value-packed mobile POS solution. Ideal for farmers' markets, food trucks, or trade show retail environments, our mobile POS system gives you freedom not possible with a traditional checkstand. 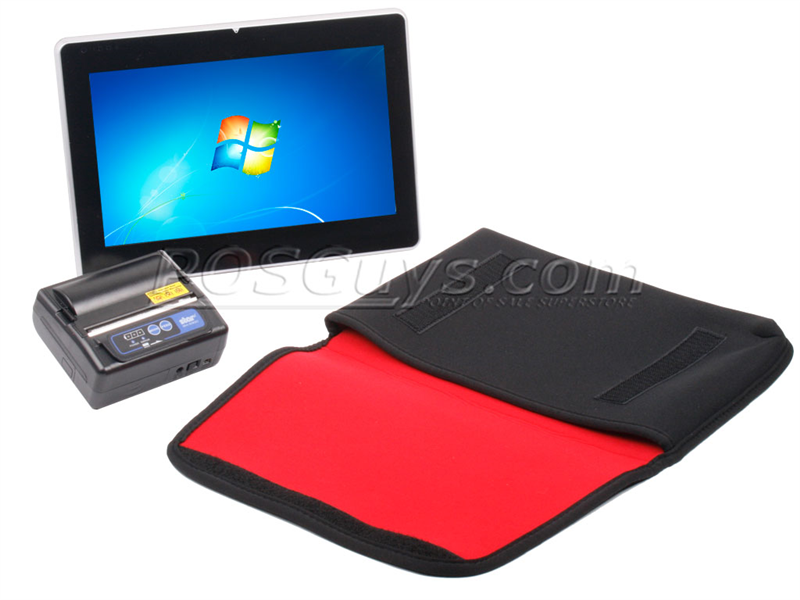 The PartnerTech EM-220 tablet runs Windows 7, promoting security while maintaining ease of use. 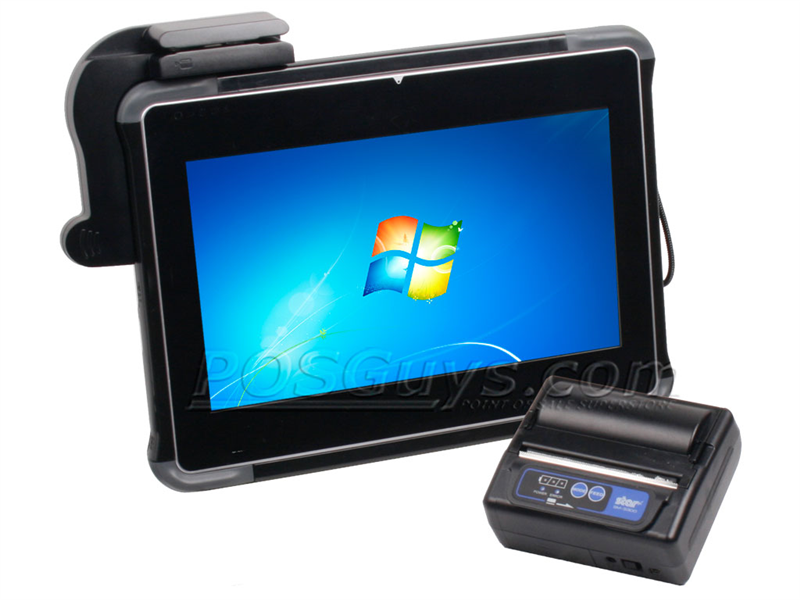 Proxis Store Manager software comes preinstalled, a streamlined and straightforward touchscreen POS software platform. For receipts, the Star Micronics SM-S300 offers full-shift usability with the ease of setup you come to expect with Bluetooth peripherals. 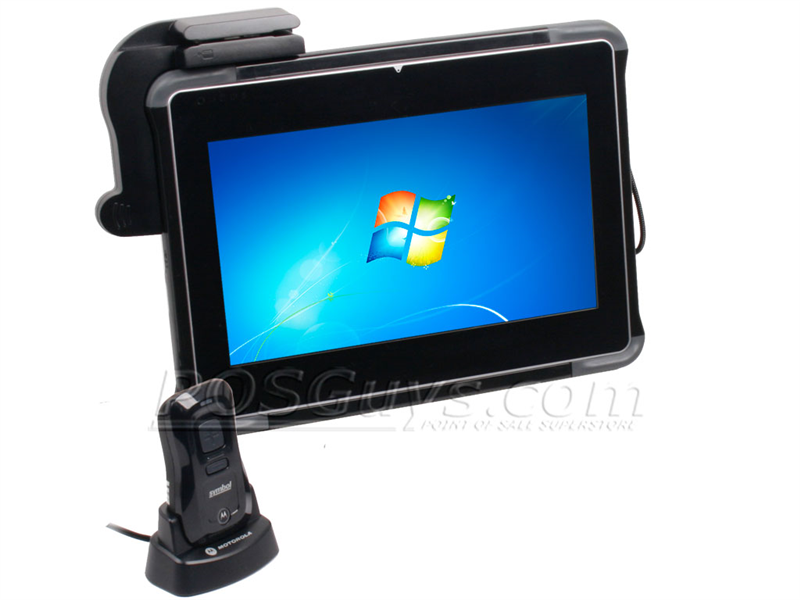 For additional functionality, we offer add-ons for the Mobile POS System. For products with barcodes, the Motorola CS3070 barcode scanner reads products easily and is quick to pair. 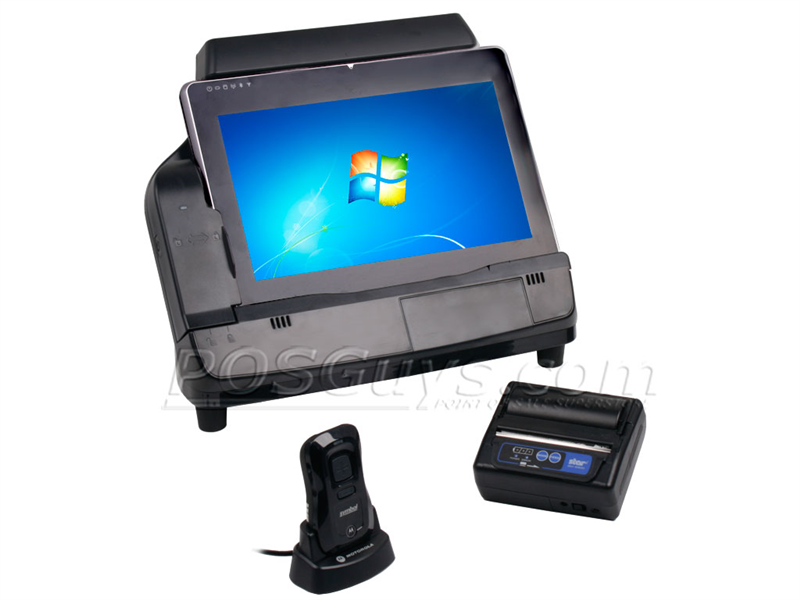 If you would like to have a more traditional checkstand experience along with your mobile POS system, our POS base kit includes an EM-220 docking base, receipt printer, and cash drawer. We preinstall all the drivers and software on your Mobile POS System, and because everything's wireless, you don't even have to plug in components. It's literally ready to go out of the box! Integrated credit card processing is also available with approval. Please call for options. Not sure which Mobile POS System is right for you? 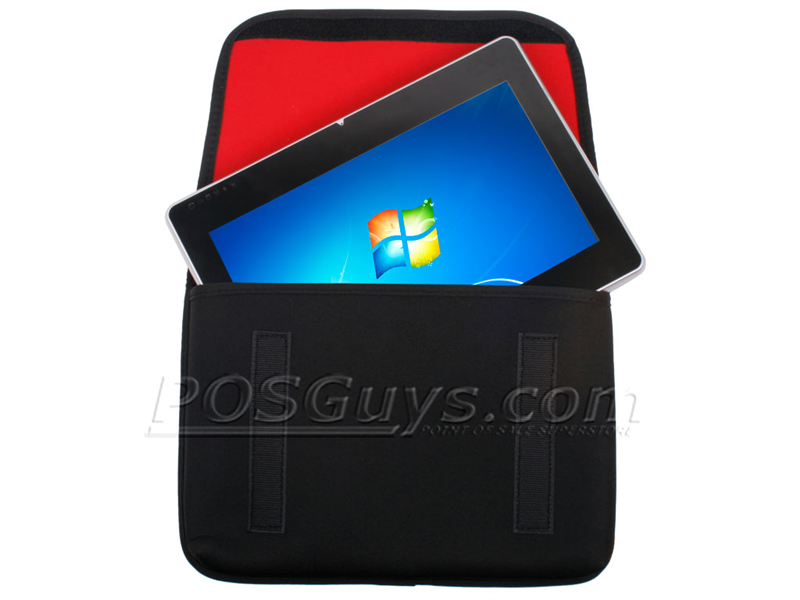 If you already have a tablet PC and POS software, we offer Mobile POS Kits for a variety of applications, including Square Register and iPad POS. The Mobile POS System is a great fit for businesses that may not be anchored to one location, such as farmers' market vendors. 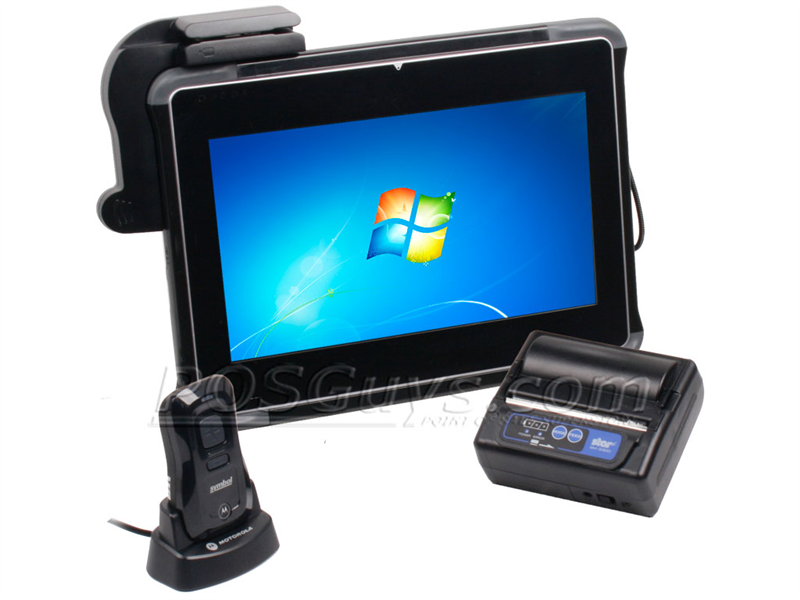 If you do have a store front but still take your wares on the road, we recommend adding the MOBILE-POS-ADD-BASE-KIT accessory, as it will let you use the system as a regular POS station at your store while maintaining your mobility. Find it faster! Click here to compare Mobile POS System models by feature.